**Bohemian Crystal Diamond-Cut Champagne Flutes “Stone” (Set of 2) from ahalife. Price: $248.00. Discount: $62.00. Categories: Home, Decor, Crystal Glasses, Sponsored. Deal Rating: 4.5 Stars out of 5. Store Rating: 5 Stars out of 5. Deal Recommendation: Recommended. Available Until: Limited Quantity. Thoughts: The BOMMA Stone 6.8 oz. 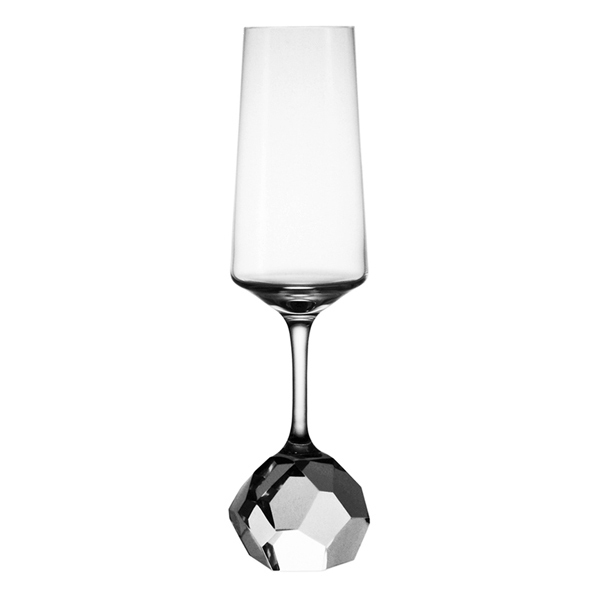 crystal champagne flutes have an unforgettable base. Designer Jiri Pelcl has emphasized the contrast between the smooth conical shapes of the body of the glass and massive irregularly cut stems and bases of his pieces, creating an extraordinary composition. This architectural approach gives the Stone collection a unique look, emphasizing its masterful craftsmanship and forcing the user to hold the glass by the cut parts rather than by the body of the piece itself. **Bohemian Crystal Diamond-Cut White Wine Glasses “Stone” (Set of 2) from ahalife. Price: $247.96. Discount: $61.99. Categories: Home, Decor, Crystal Glasses, Sponsored. Deal Rating: 4.5 Stars out of 5. Store Rating: 5 Stars out of 5. Deal Recommendation: Recommended. Available Until: Limited Quantity. Thoughts: Set the tone with these luxurious white wine glasses boasting an unforgettable base. Designer Jiri Pelcl meant to emphasize the contrast between the smooth conical shapes of the body of the glass and massive irregularly cut bases that are gem-quality, creating an extraordinary composition. **Bohemian Crystal Diamond-Cut Red Wine Glasses “Stone” (Set of 2) from ahalife. Price: $240.00. Discount: $60.00. Categories: Home, Decor, Crystal Glasses, Sponsored. Deal Rating: 4.5 Stars out of 5. Store Rating: 5 Stars out of 5. Deal Recommendation: Recommended. Available Until: Limited Quantity. Thoughts: Revel in the craftsmanship of these red wine glasses whose design boasts an architectural approach. Each features a jewel-like base, that begs to be touched. They make a glass of red wine a sensual experience.